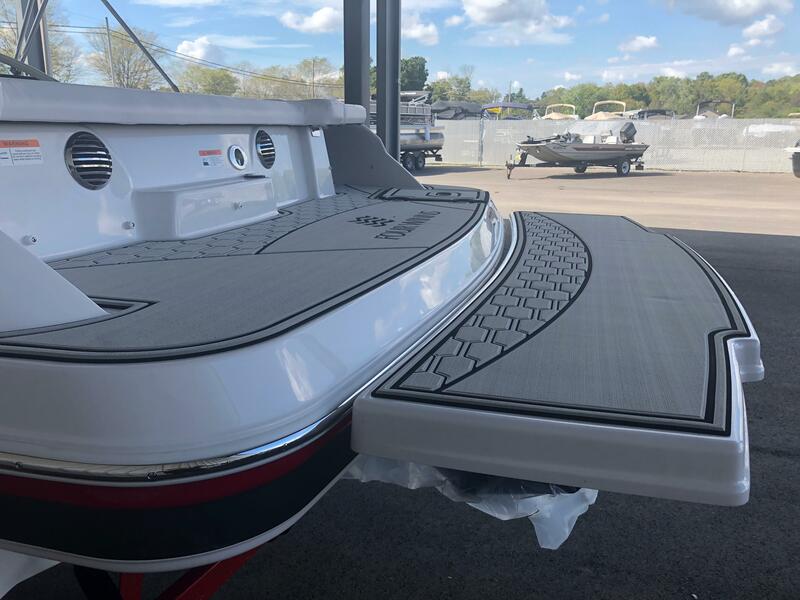 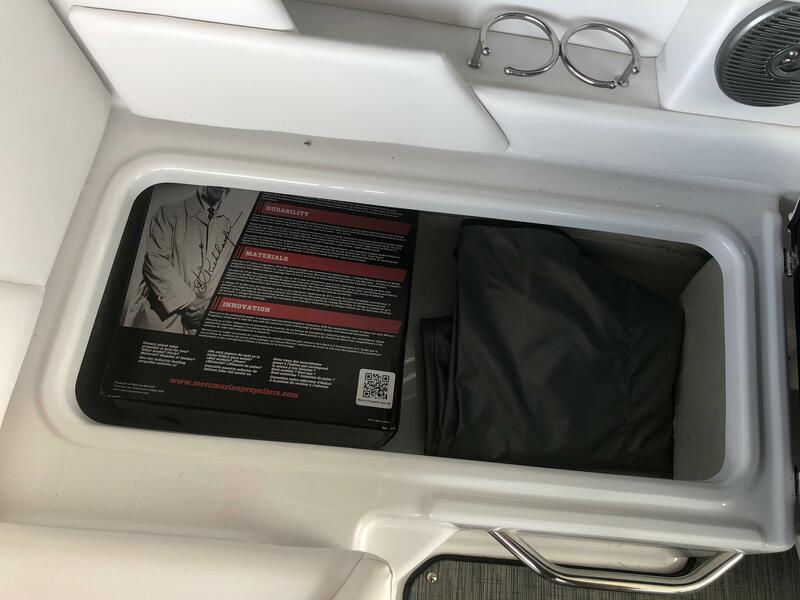 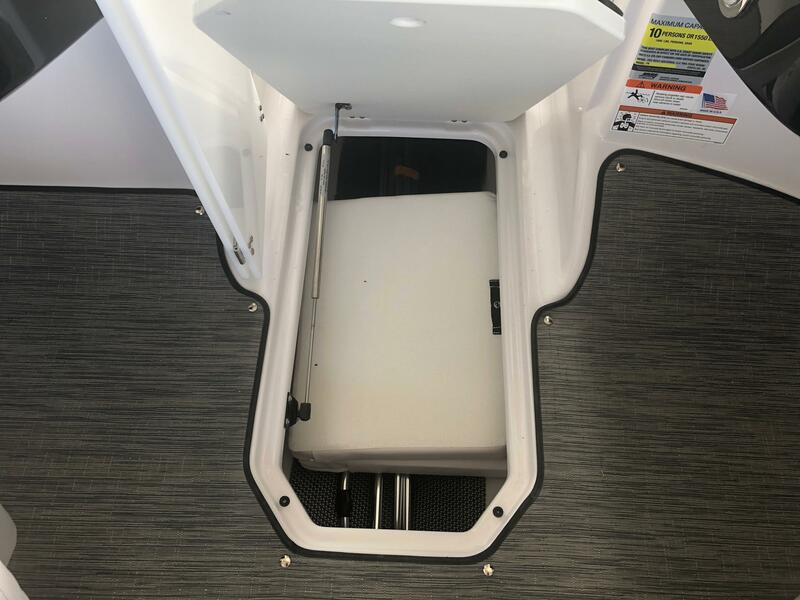 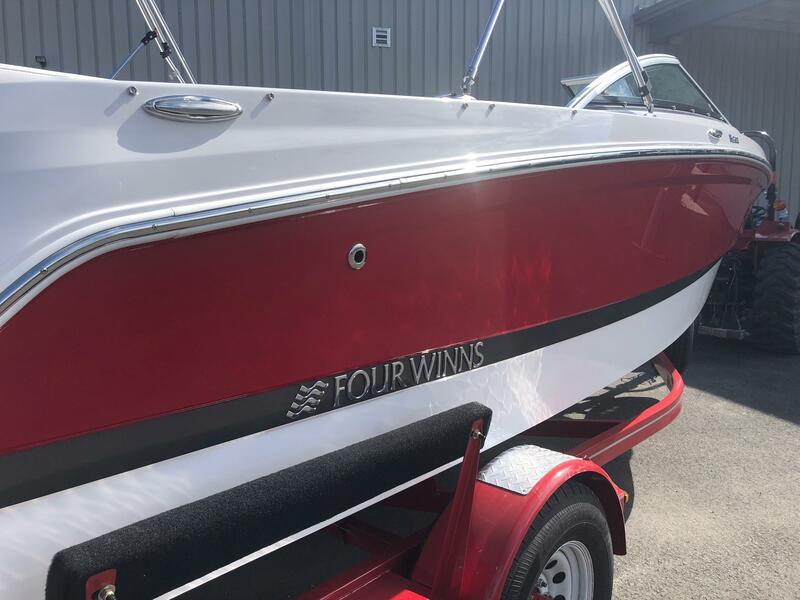 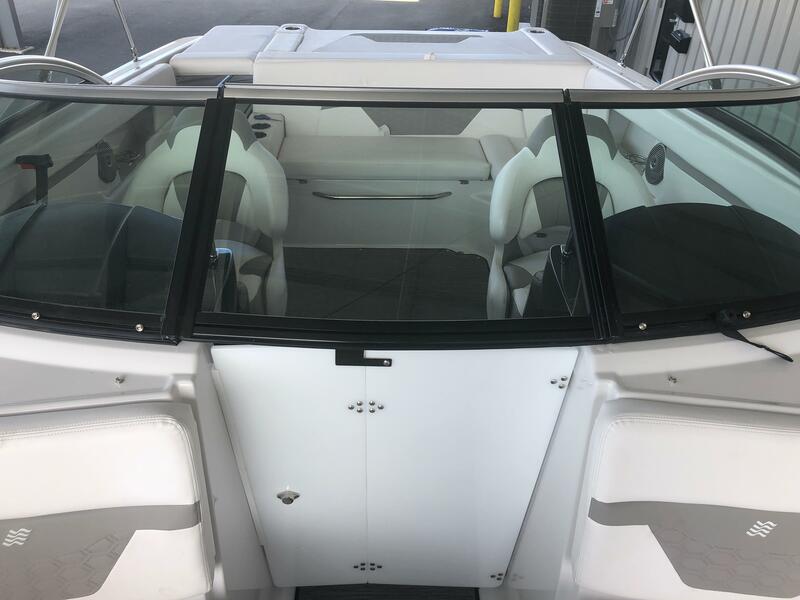 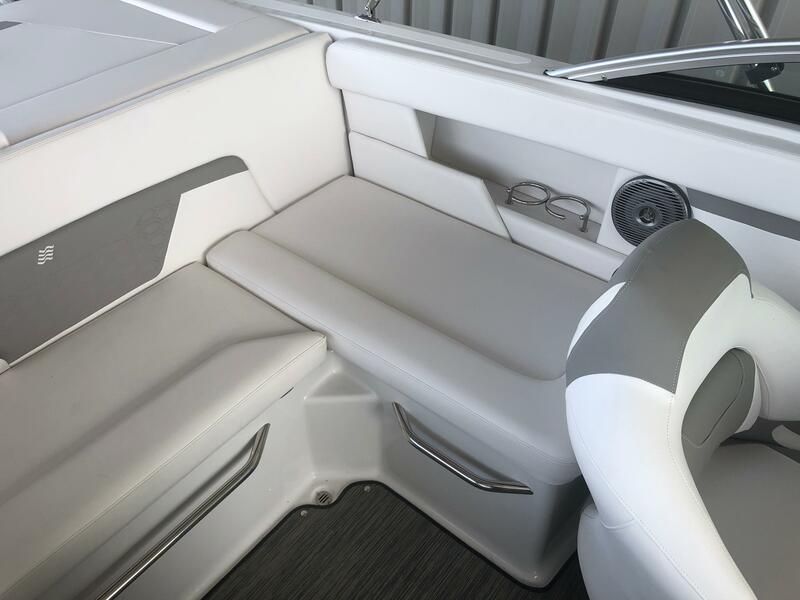 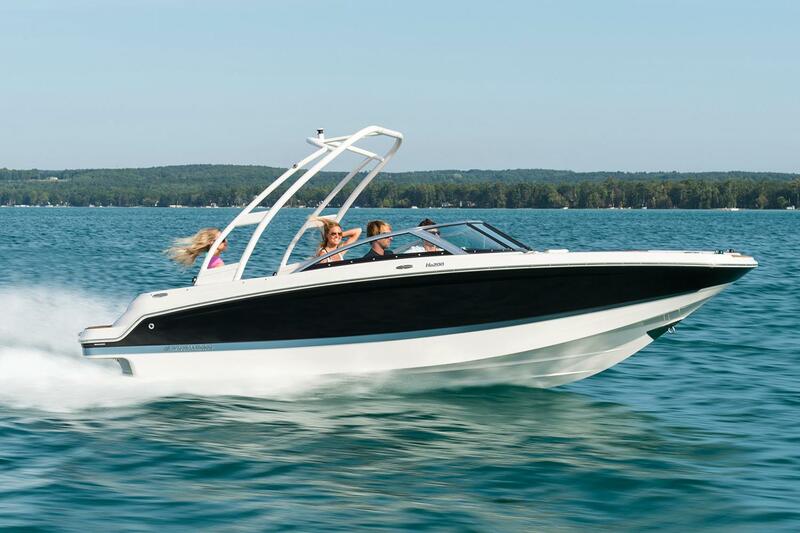 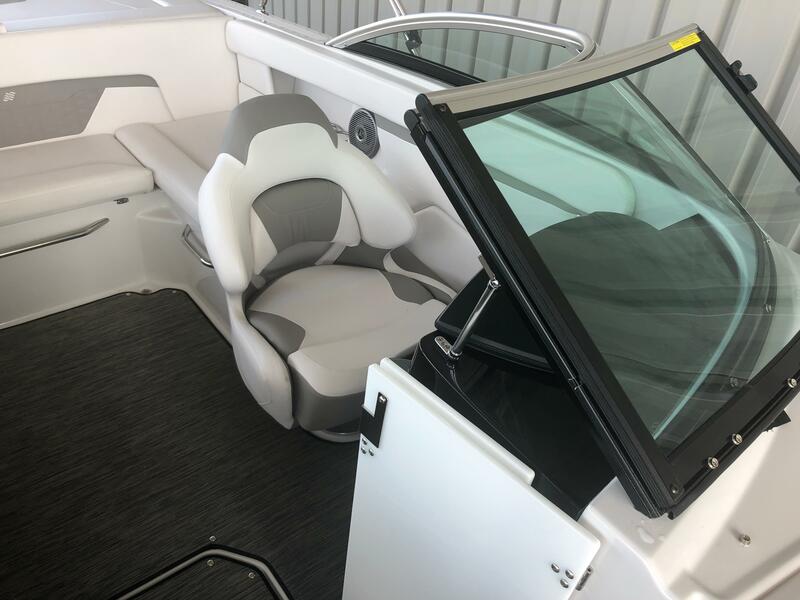 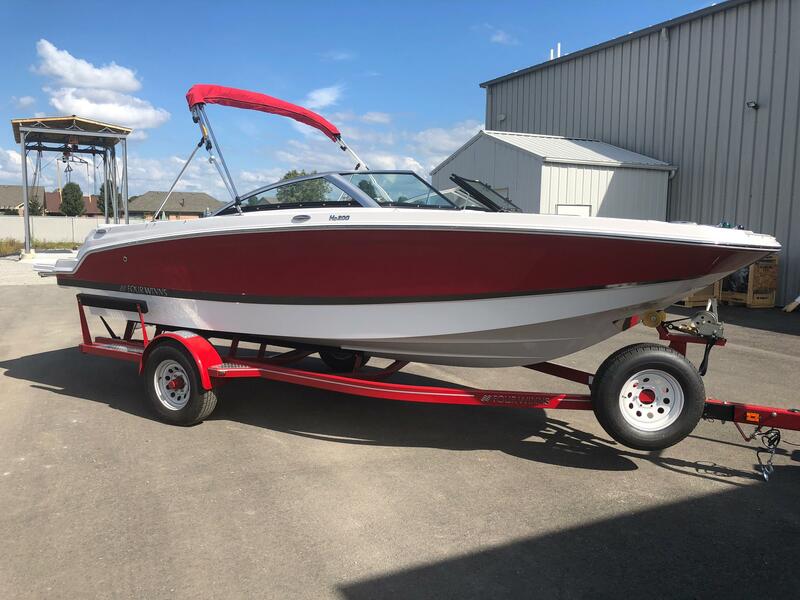 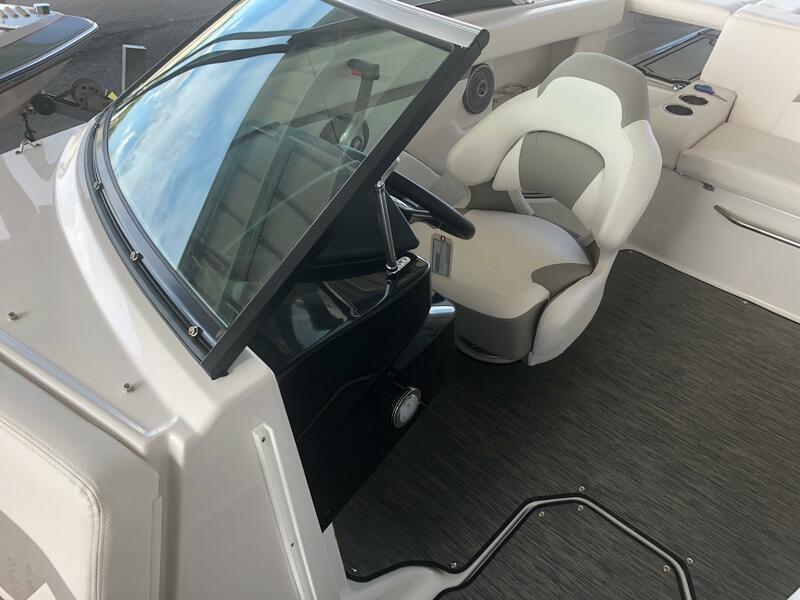 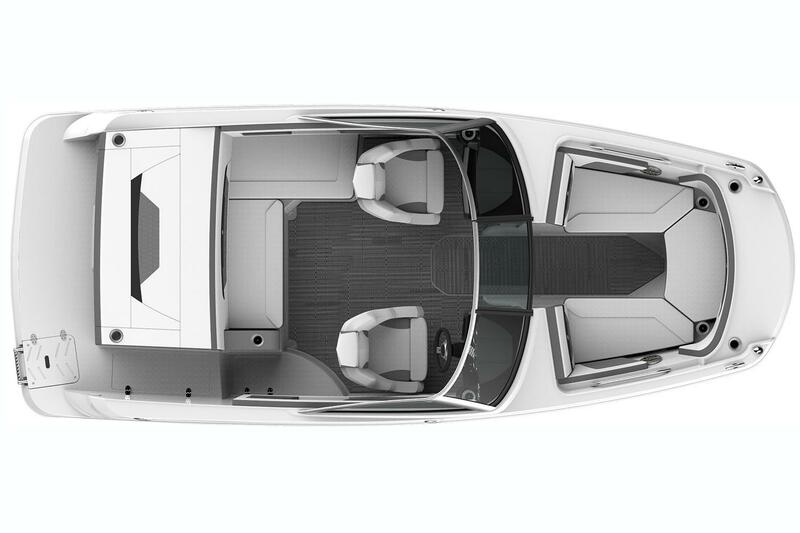 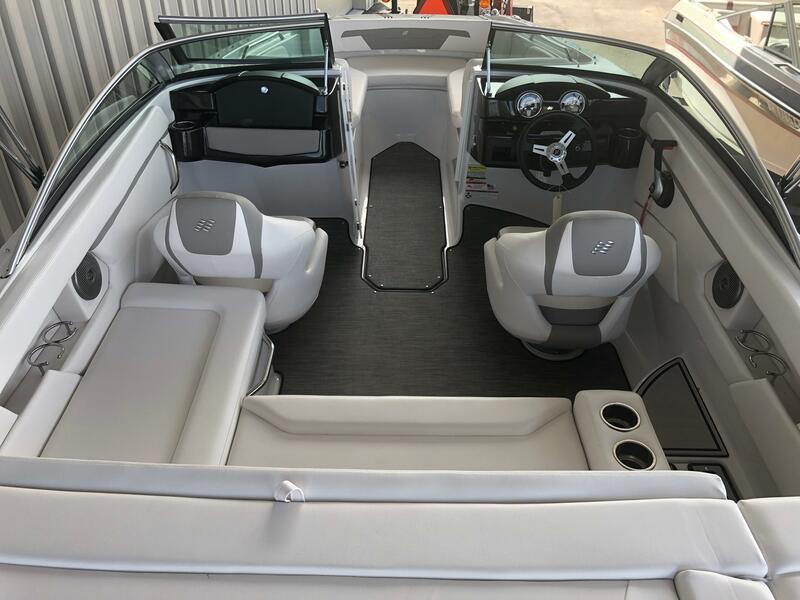 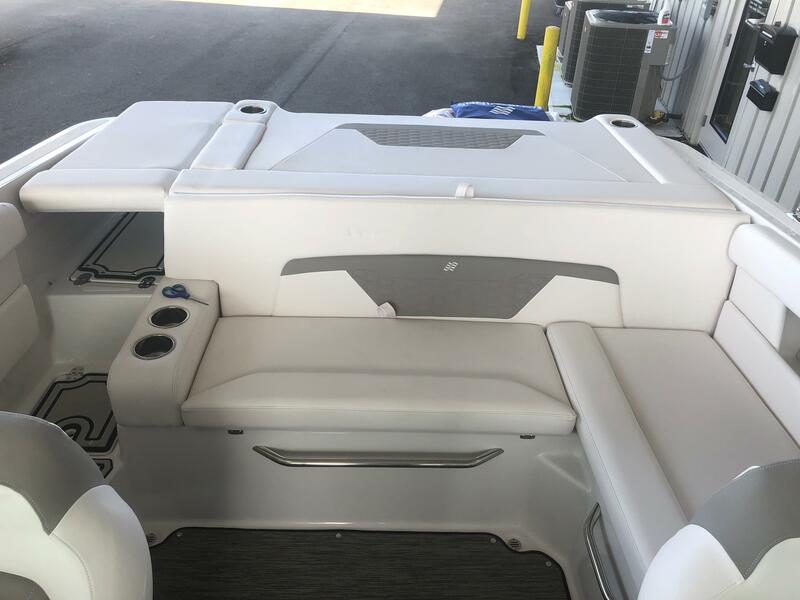 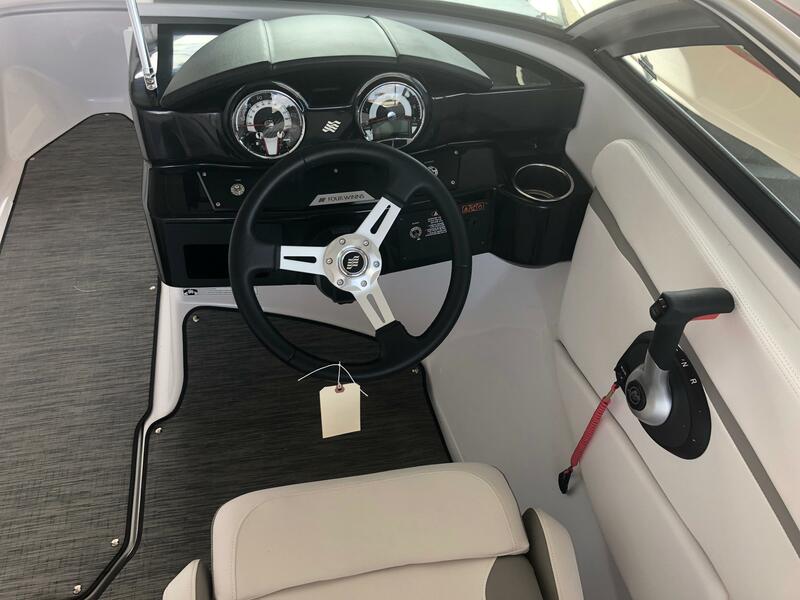 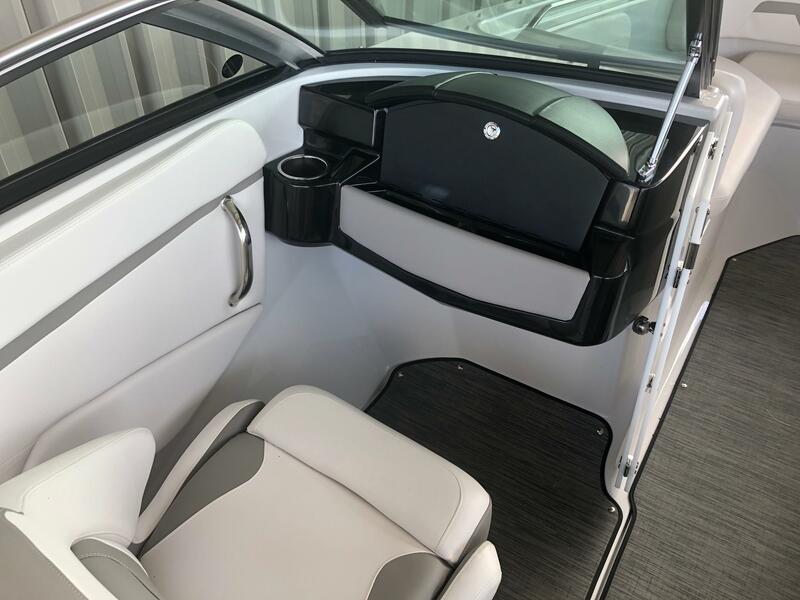 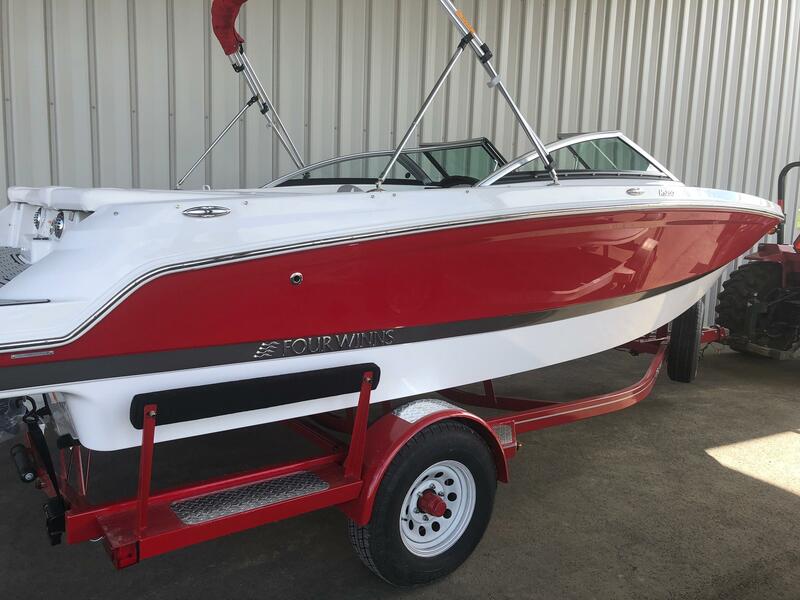 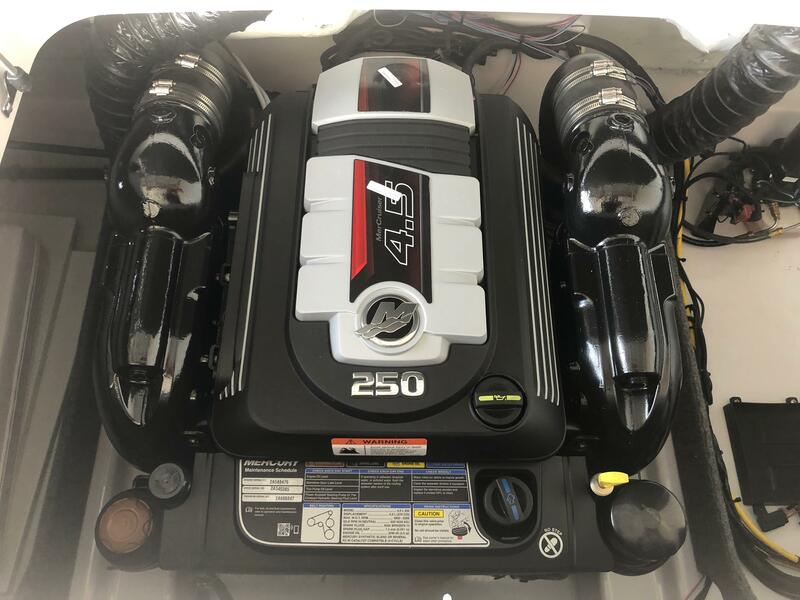 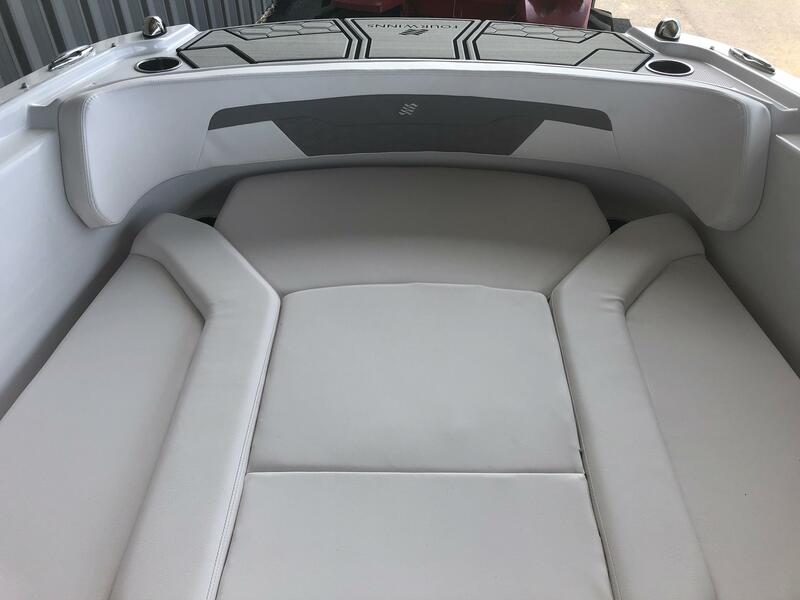 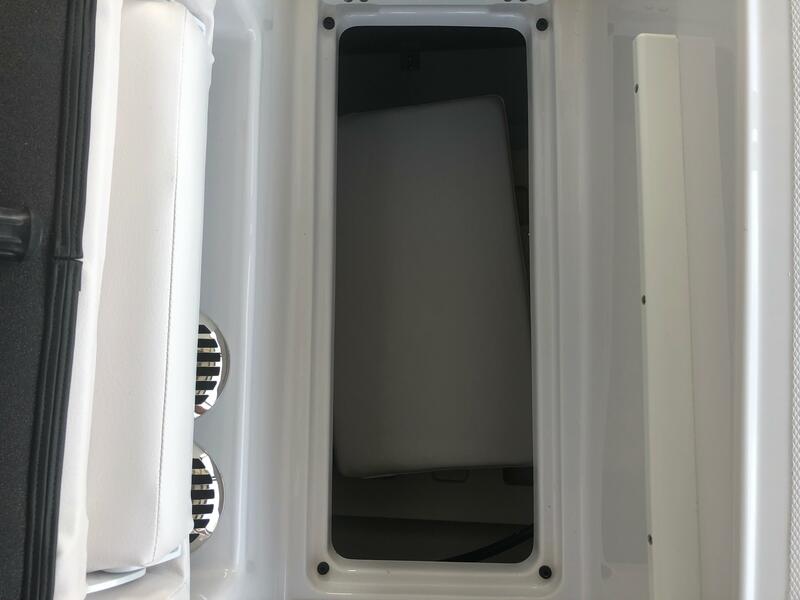 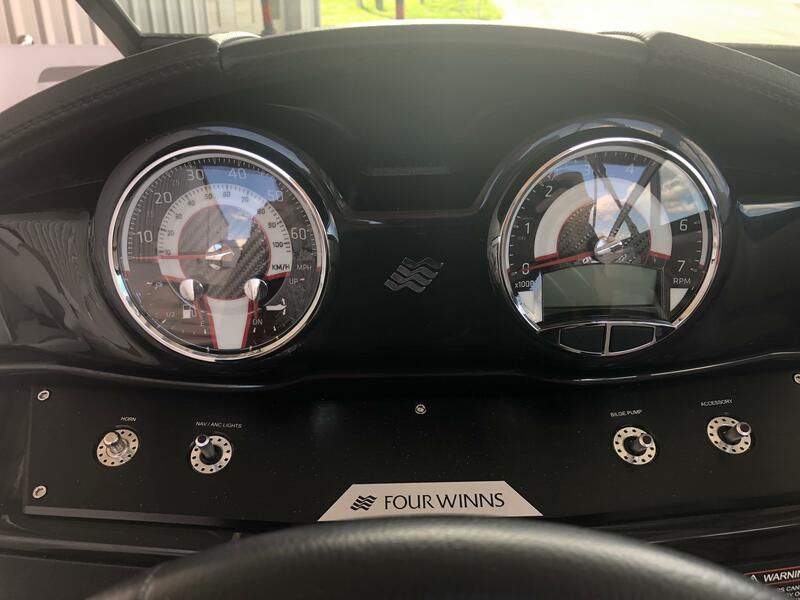 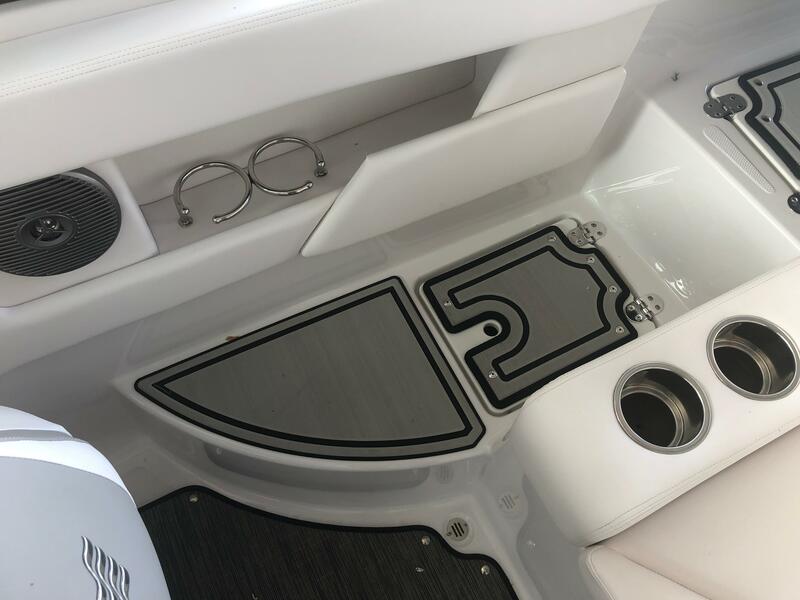 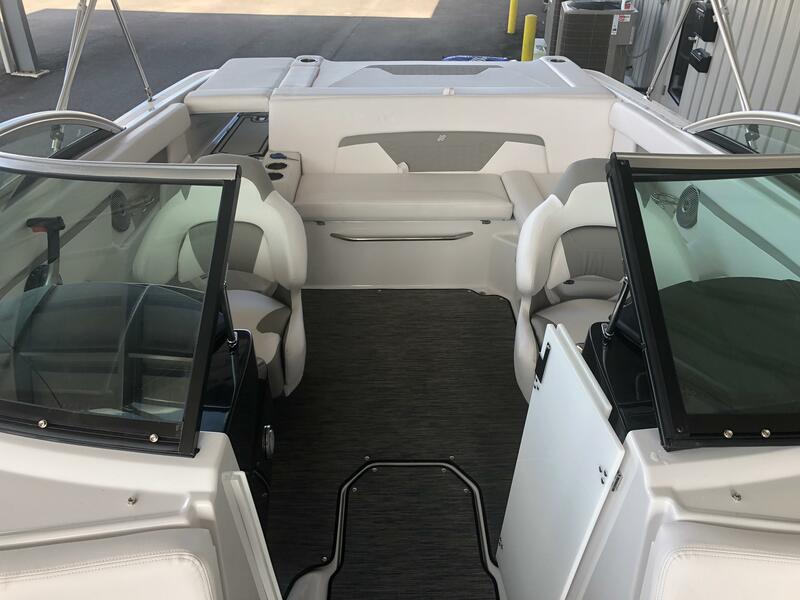 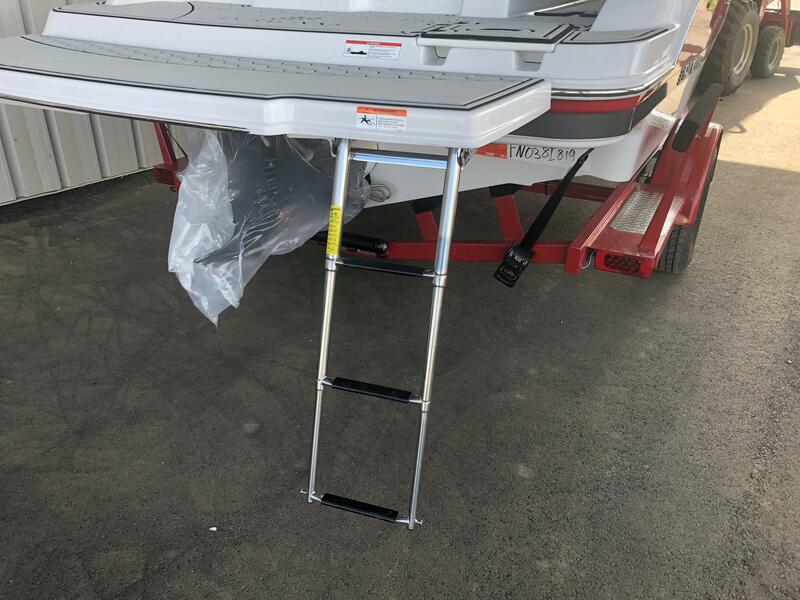 Here is a 2019 Four Winns HD 200 Deck boat. 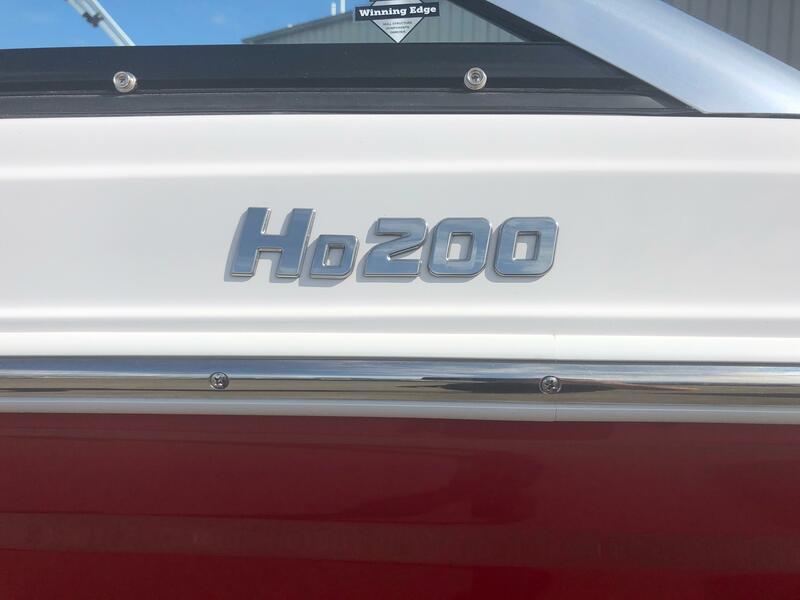 The HD 200 measures in at 20 feet 1 inch long, has a 100 inch beam, carries 40 gallons of fuel and has a capacity of 10 people. 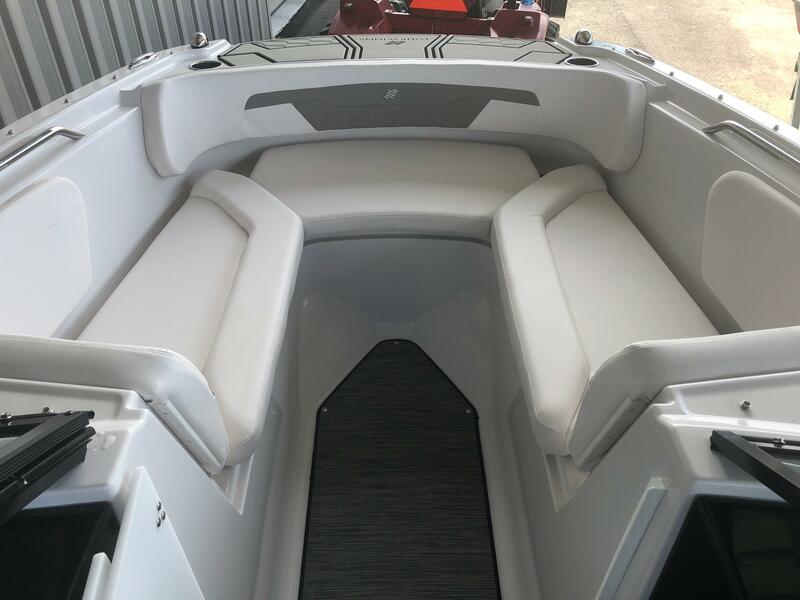 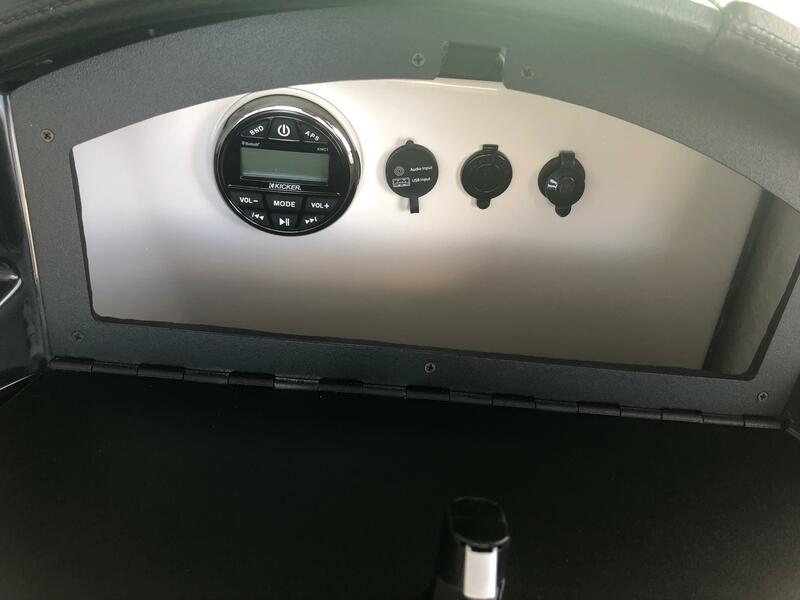 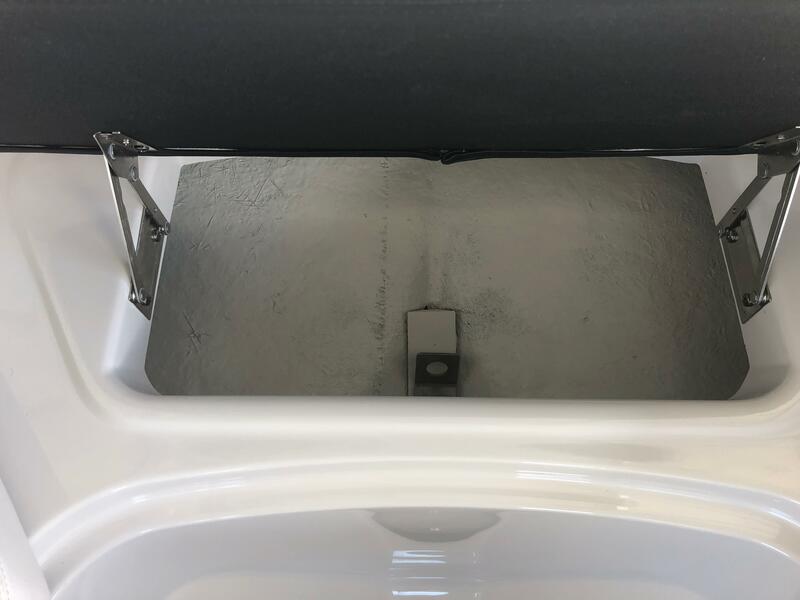 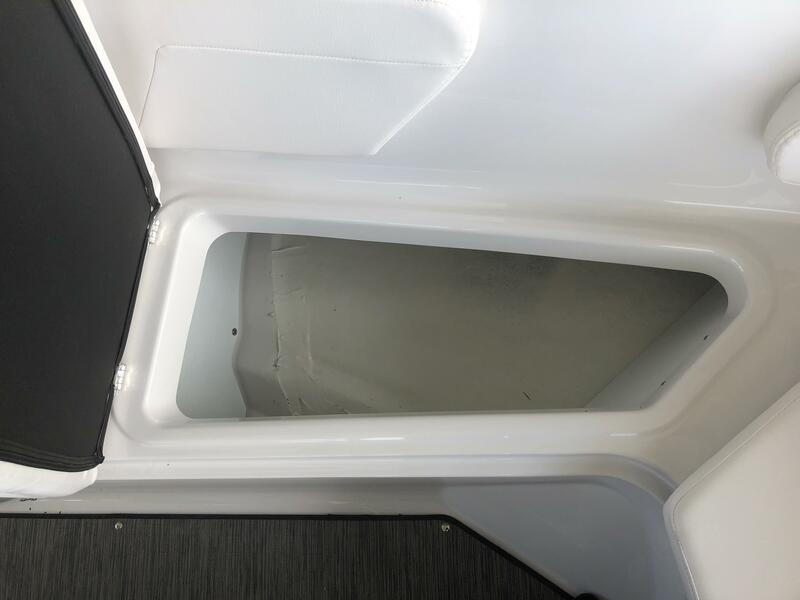 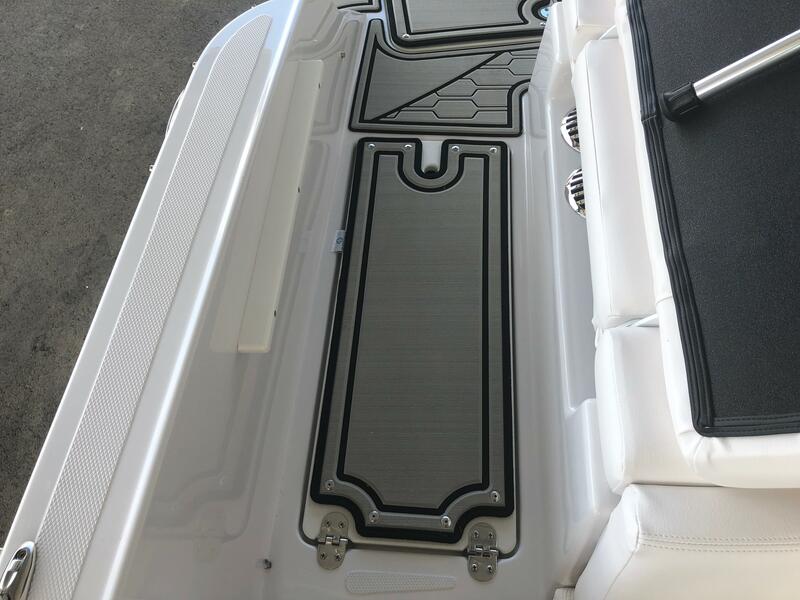 This unit has been upgraded with a LX package that includes a Bimini top, bow scuff plate, pull up cleats and cockpit sea weave flooring. 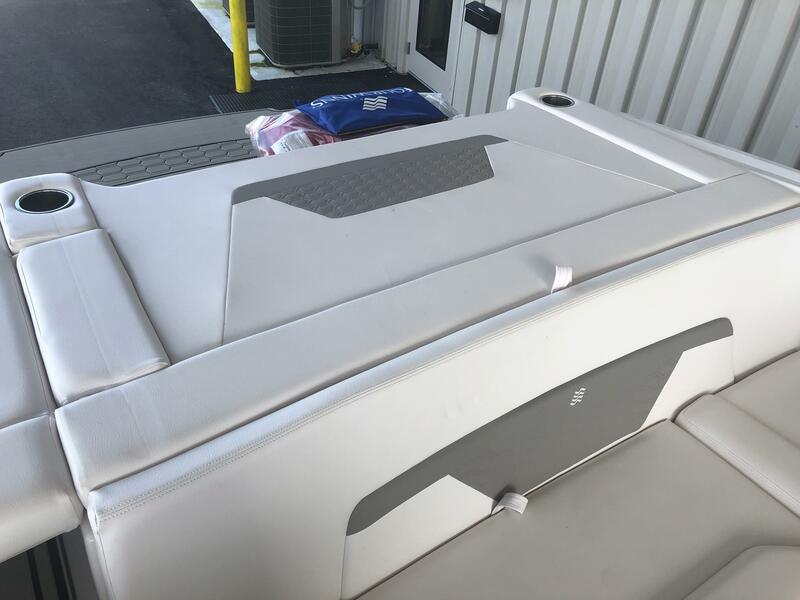 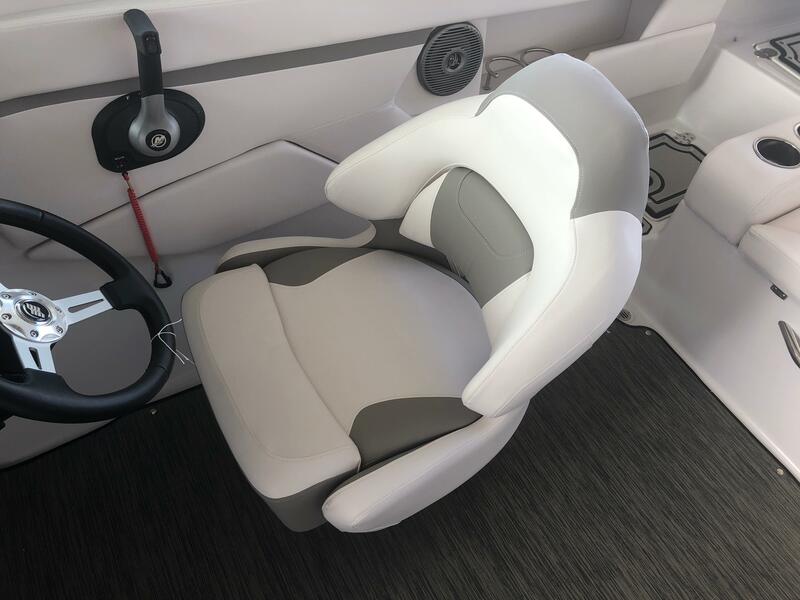 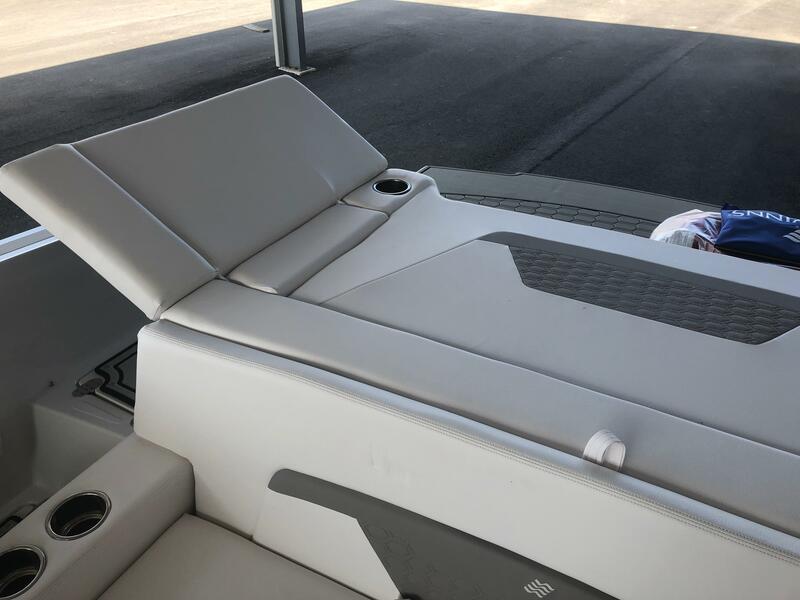 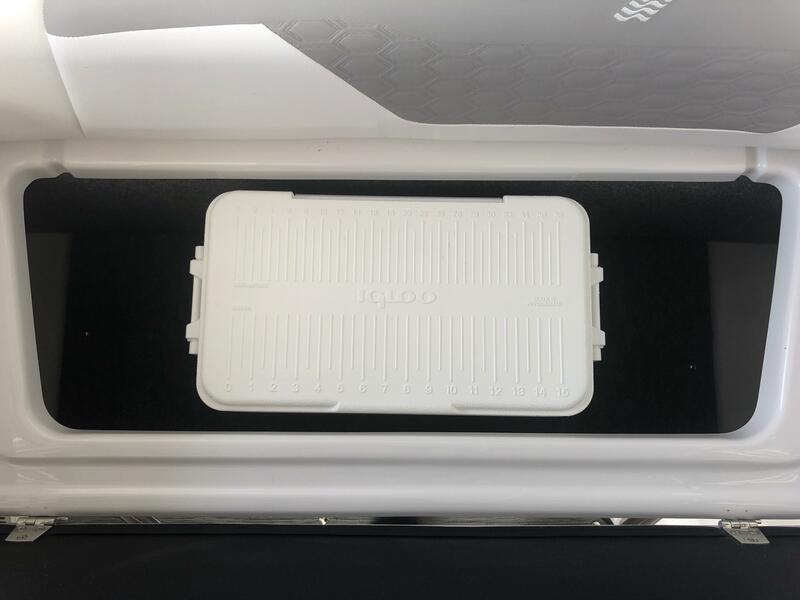 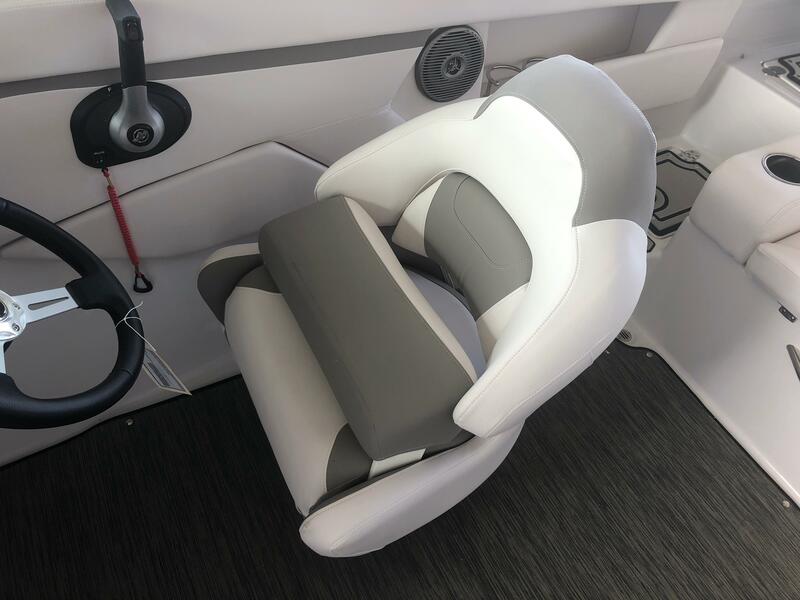 A SLX package that includes bow fill in cushions, bow and cockpit cover, docking lights, swim platform mat, cockpit table and mount and walk thru door. 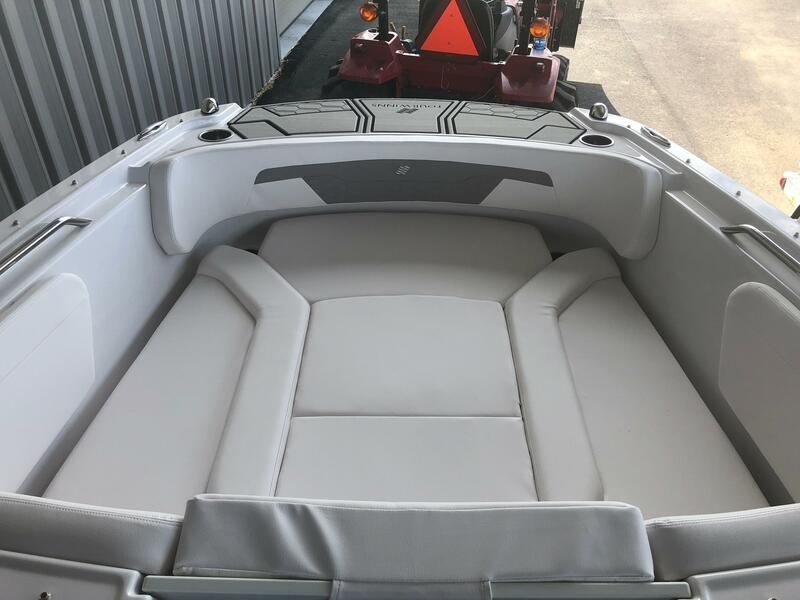 Also upgraded to this boat is a extended swim deck and a spare tire. 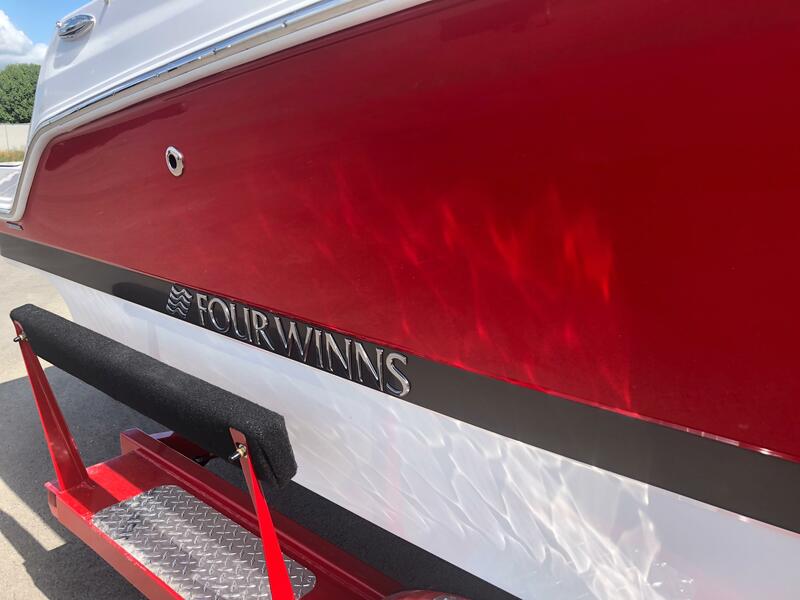 This boat is powered by a Mercrusier 4.5 Liter 250 hp sterndrive motor and rides on a custom made Four Winns trailer that has LED lights, a swing tongue and surge disc brakes. 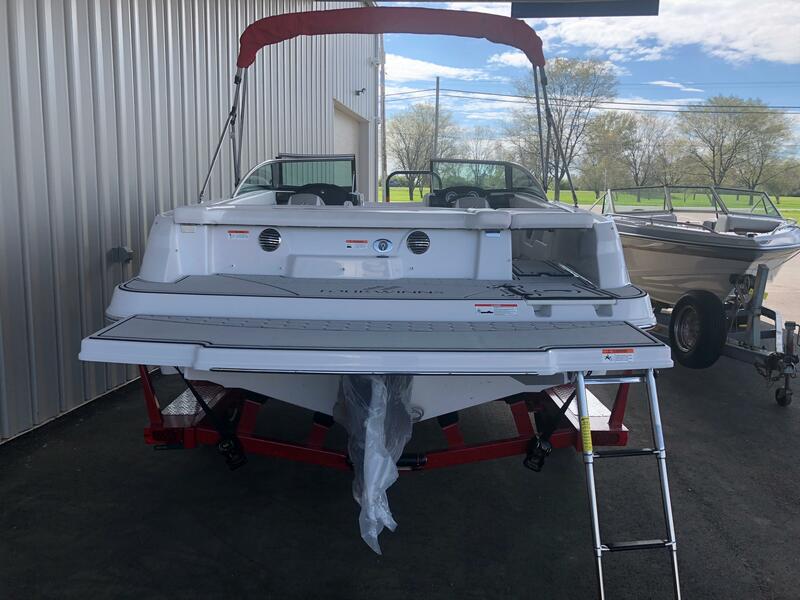 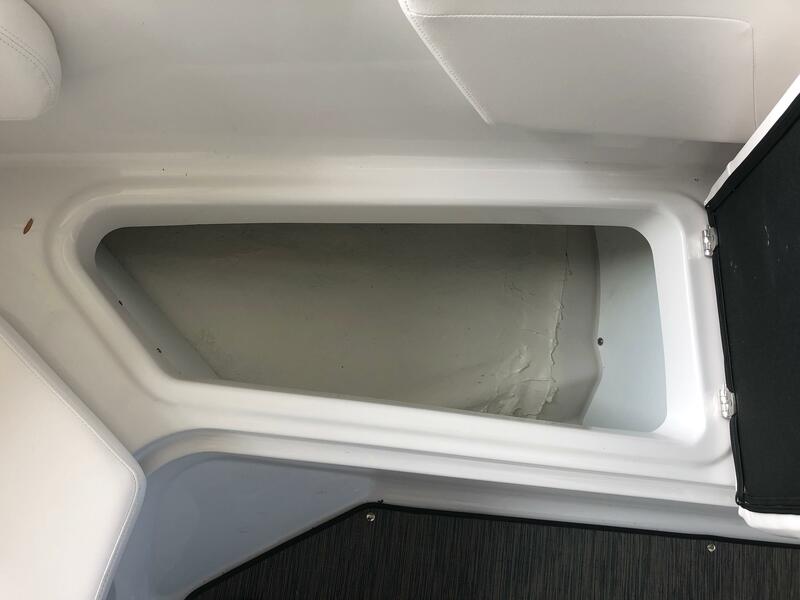 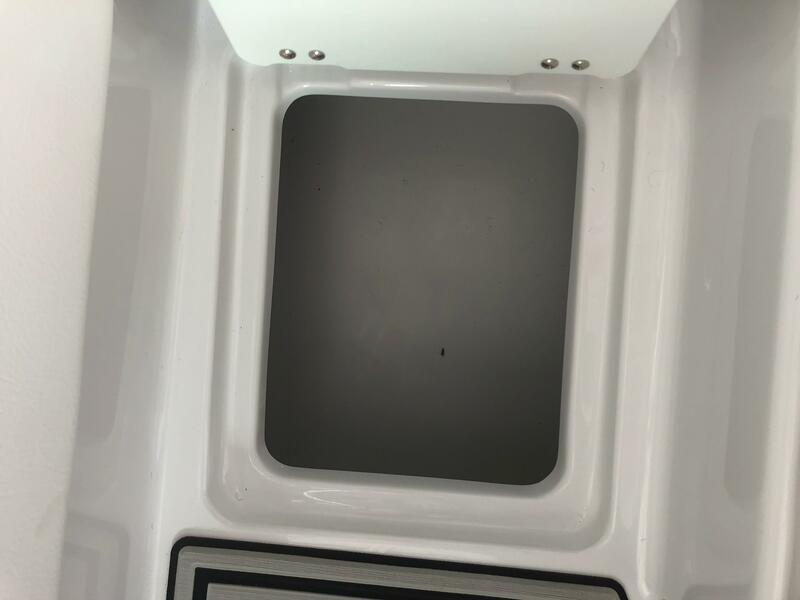 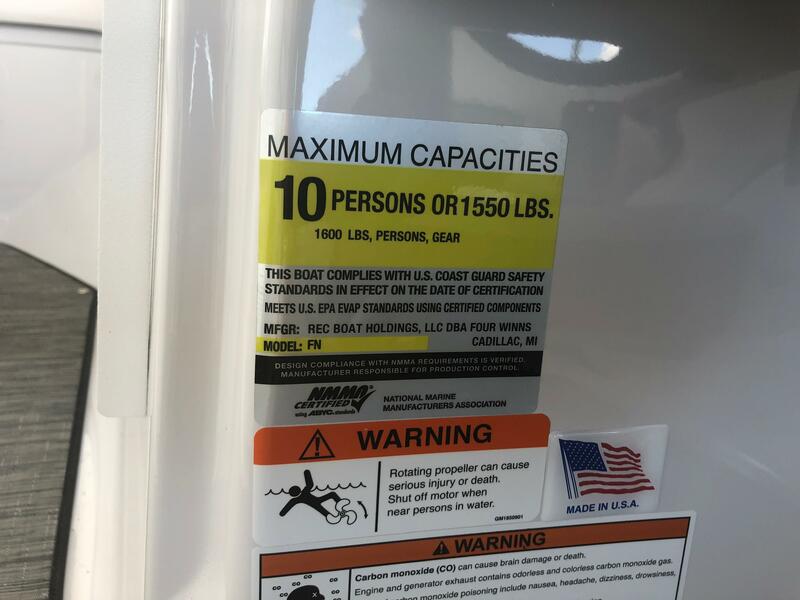 Please call us at (513)-855-4402 with any questions that you may have about this boat.